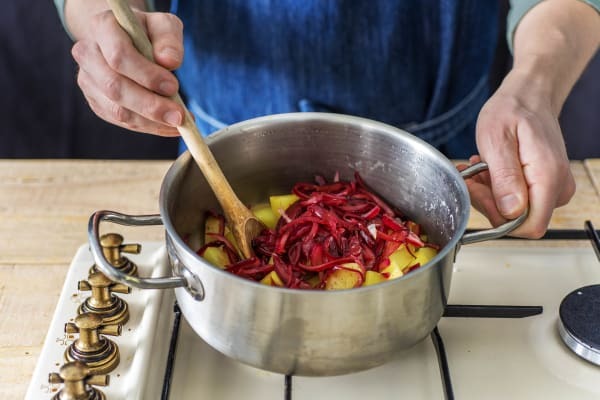 At HelloFresh we believe that being short of time should never stand in the way of getting delicious looking and tasting recipes on the table. 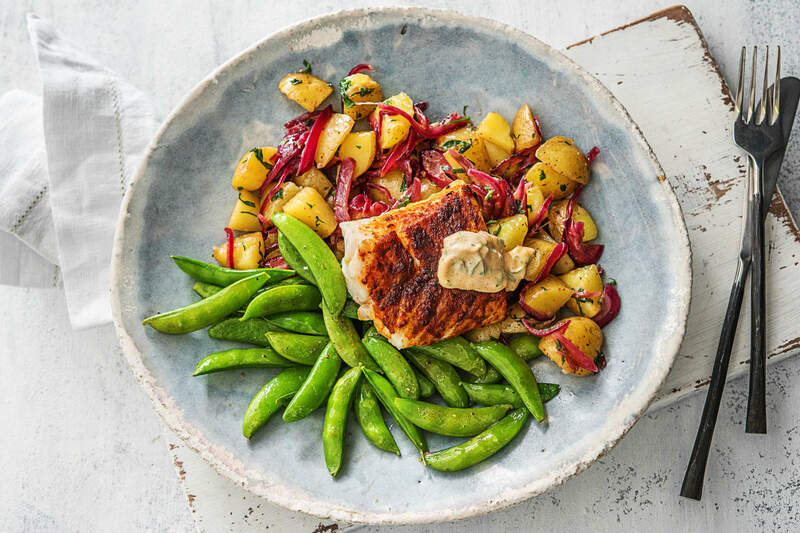 With its flaky, meaty white flesh and subtle flavour, cod is one of our favourite fish for an everyday feast. Spiced with smoky paprika and served with crushed herby potatoes and crunchy mangetout, this recipe proves that it pays to keep things simple. 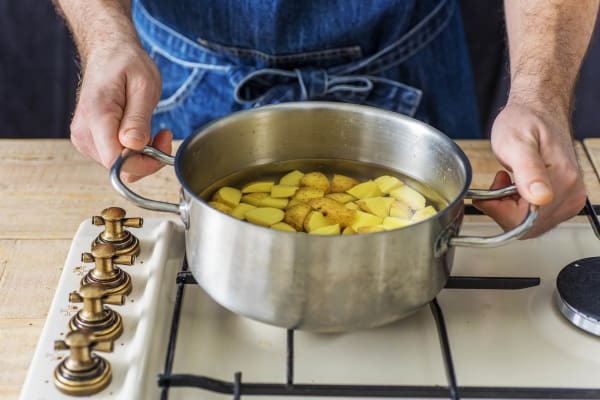 a) Cut the potato into small chunks and pop into a saucepan with a pinch of salt. b) Cover with boiling water and put the pan on high heat. c) Boil until tender, 12-15 mins, then drain. 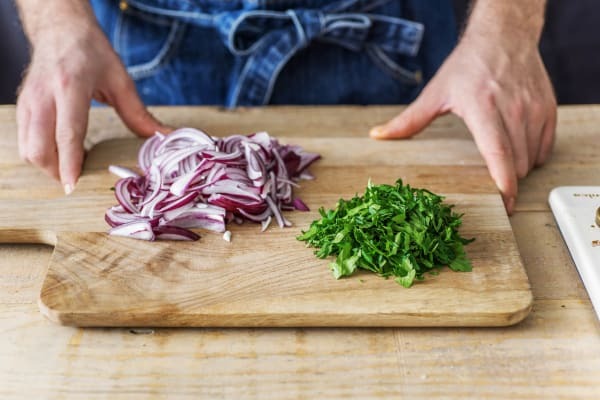 a) Meanwhile, halve, peel and thinly slice the red onion. b) Roughly chop the flat leaf parsley. c) Pop your cod onto your prepped baking tray. Rub half the smoked paprika, a pinch of salt and a drizzle of oil into the fish. d) Preheat your grill to medium-high. a) Heat a splash of oil in a frying pan over medium-high heat. b) Add the onion, stir and cook until softened, 5-7 mins. c) Whilst the onion cooks, mix half the parsley into the garlic mayo with a pinch of the remaining smoked paprika. 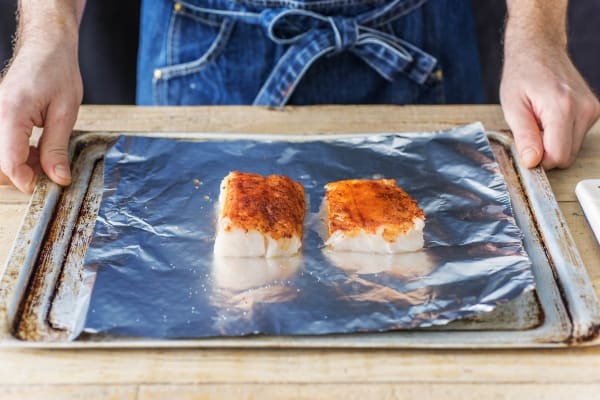 a) Cook the cod under the grill until opaque in the centre, 6-7 mins. 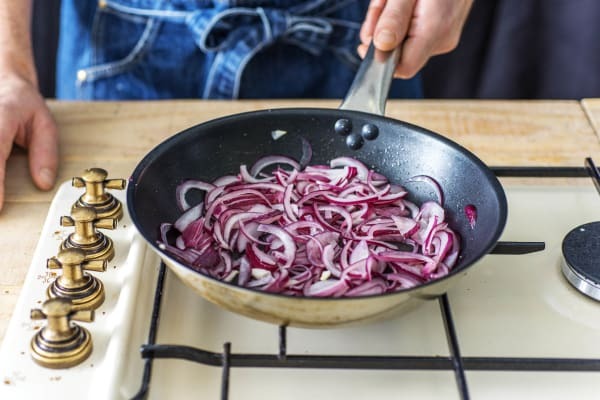 b) When the onion is soft add the sugar (see ingredients for amount) and red wine vinegar. c) Allow the red wine vinegar to bubble away and then transfer the onion to a bowl. Keep the pan! a) Wipe the frying pan and return to high heat with a splash of oil. 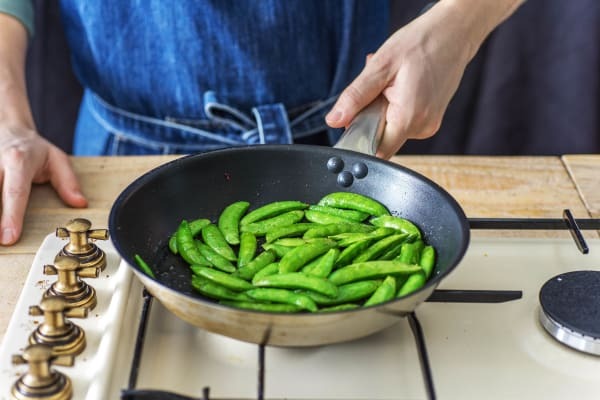 b) Stir-fry the sugar snaps until tender, 3-4 mins. a) Return the potatoes to the pan and add the onion, remaining parsley and a knob of butter (if you have some). Mix well. b) Share the potatoes between your plates, pop the sugar snaps alongside. Place the cod on top and finish with a dollop of mayo.